After 25 years in student ministry and the past 13 on the Arabian Peninsula, Brian P now feels the call to pastoral work and is turning over the ministry to 14 young staff members. In a predominately Muslim city of over 3 million there are only a few healthy local churches. 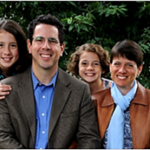 Brian and Joanne will leave the ministry in July to participate in church planting training in Washington, then return to begin launching a new church. Pray for Brian and Joanne as they take this leap of faith. Atheer’s ministry to Iraqis in the Middle East is growing. He is now responsible for 30 small groups with an average of 10 people each. He needs more leaders and is in the process of training a cadre of leaders and feels the ministry will easily expand to more Iraqi families as leaders come on line. Pray for more committed leaders to assist him and for wisdom in time management. Pray for Jason and Lisa as they transition from overseas to the US to do local missions to internationals. After serving in China for 19 years they are now in Tuscaloosa where they hope to continue to broaden the gospel impact on China through involvement with international students and scholars. Marilyn Whittemore is headed to Ukraine to join John and participate in two camps in the Carpathian Mountains for orphans and underprivileged students. For the second camp they will be joined by five Campus Outreach folks from Thailand. Pray that hearts will be open to Jesus and many will come to accept Christ. Pray for safe travel, stamina, and health for the members of the team and that Jesus will be faithfully represented by the multicultural team. Dave has been helping Yomi, his new national partner, understand the interpretation of the books he is making drafts of, while he himself back translates OT scripture portions into English from Bauzi so they can be checked by a consultant. Dave is also preparing to check the book of Revelation in the Kosarek language later this year. Joyce and her colleague Rita continue their development of literacy material for children and adults in Indonesian and Lani languages. 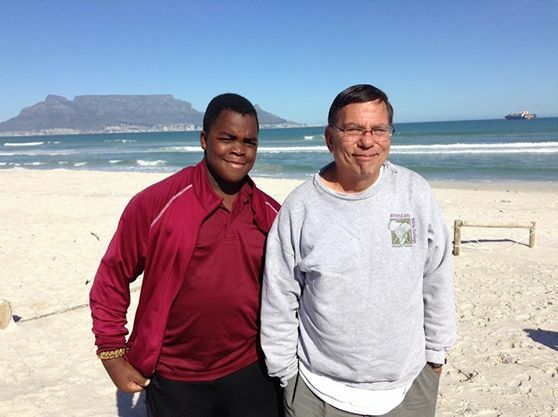 Pray for Dave as he currently serves as consultant for Matthew in the Auyu language. 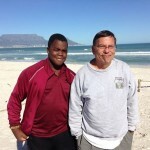 In the midst of his teaching and evangelism ministry at African Bible College, Larry Brown is a single father to Carey, who is making him proud in many ways especially in athletics. Carey has been on the swim team since first grade, winning medals and recently participating in the all Africa gala in Mauritis. Pray for Larry and Carey as they grow in faith and establish their place in society. Opportunities and challenges face Giotis’ church in Greece as they reach out and respond to the great influx of refugees. Many gather at various locations to hear the Word and study the Bible. At one of the locations 50+ Iranians and Afghans met to study the Bible. Attendance at the other locations has been consistent. Pray for physical and spiritual strength, discernment, resources, and Spiritual oversight in this tumultuous time and place. Paul and Violette Bridgman are winding up their home assignment and grateful for improved health as Violette walks better and Paul recovers from surgery pain and sleep issues. They need to resolve issues concerning their house and vehicle and ask prayer for wisdom and technical know- how. Pray Violette can continue her bone building medication in Japan and that health and support issues will be stronger when they depart on July 12th. Craig and Stacy Pohl ask prayer for the Chilean Church and church planters as they work to equip leaders, pastors, and churches in Chile. 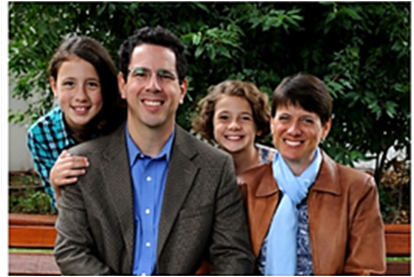 Pray their family, through their multifaceted involvement, will be a blessing in Chile. Herb and Heather constantly face challenges with TB at Annoor sometimes made more difficult by the resistant form of TB, home situations of foreign patients, additional medical problems, and protection of families and co-workers from the disease. On the flip side it is encouraging to see patients reaching out to one another in simple gestures of kindness. Pray for spiritual and physical healing of these men and women from many countries under the care of Annoor and for the dedicated staff that cares for them.